Dong Quai is a traditional Chinese herb that is growing more popular here in the United States. It's growing popularity has much to do with the amazing benefits for both men and women. The Chinese words “Dong Quai” literally translates to “state of return”. Dong Quai is primarily known for treating women's problems including libido, pre-menstrual syndrome (PMS), menopausal symptoms, irregular menstrual cycle, hormonal changes, hot flashes, menstrual cramps and more. For this reason it is also commonly known as "female ginseng". But men can use it too for other health complaints. 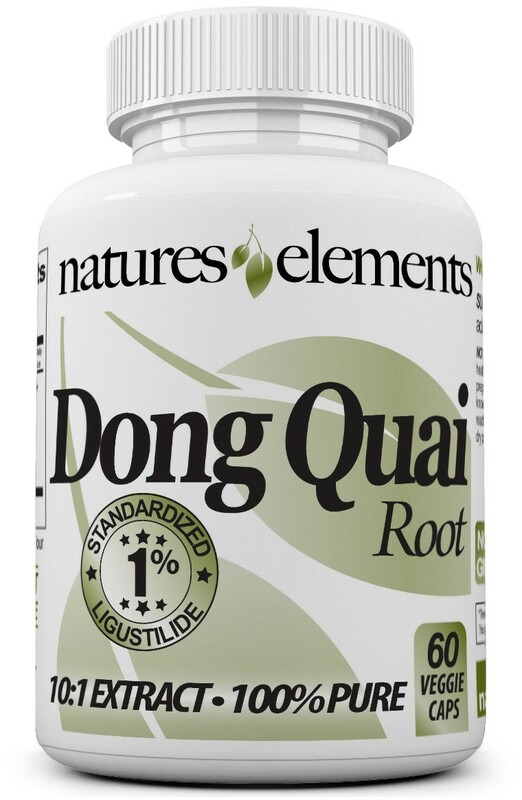 Dong Quai helps boost the effects of hormones and reproductive organs and has also gained a reputation as an aphrodisiac for women and men. 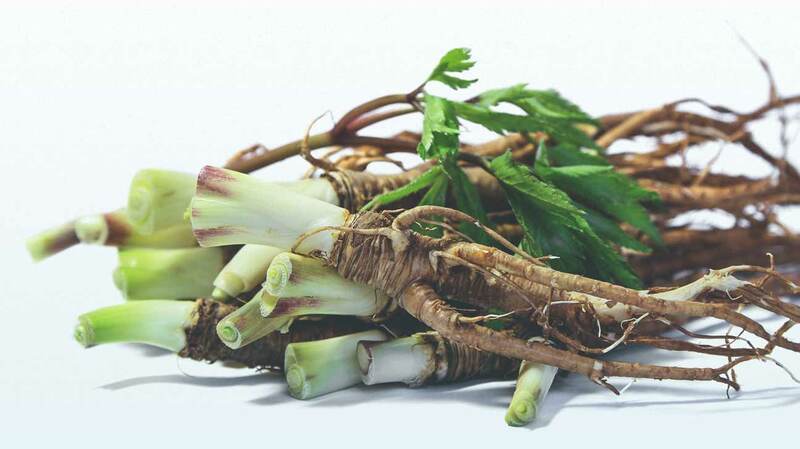 Its botanical name is (Angelica sinensis) and is also known as Chinese Angelica. Dong Quai Root has been used by the Chinese for more than thousands of years to support the heart, lung, spleen, liver and kidney functions. 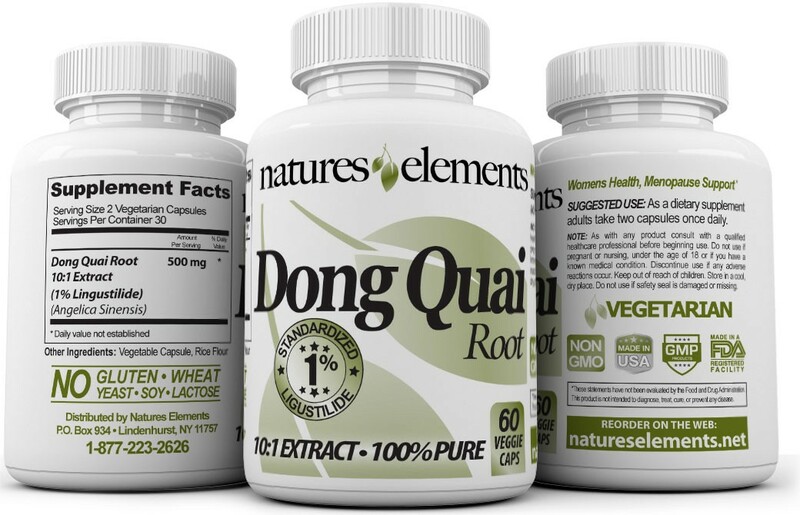 Dong Quai Root is an excellent tonic for the blood and promotes healthy blood circulation due to its vitamin and mineral content which includes Biotin, Folic acid, Vitamin B12, Vitamin E, Vitamin A, Folinic acid and more. Dong Quai Root is helpful to restore red blood cells and increase blood levels after loss of blood occurs such as after a surgery or injury. Its not a surprise why this amazing herb is included in all Chinese blood building formulas. The cobalt in Dong Quai may increase the hemoglobin in your blood making it optimal for iron deficiency and anemia. Todays research is helping to explain how dong quai works. Studies have focused on specific health-promoting compounds and constituents of dong quai. One of which is Z-ligustilide, which comprises up to 60% of the root's essential oil, ferulic acid, and polysaccharides. These studies propose that dong quai helps dilate certain blood vessels and boost circulation, a key to improve gynecological health and function according to traditional Chinese herbalism. HOW LONG SHOULD I TAKE DONG QUAI? Dong Quai is taken daily with two small easy to swallow capsules. Each bottle of Dong Quai Capsules contain a 1-month supply. Although Dong Quai may work quicker from one individual to the next, we recommend you use it on a daily basis for the recommended period of time. After consistent use for at least 3 months, you should begin to see and feel results. You may achieve continued results the longer you are on the product. Be sure to order an ample supply. Natural medicine is designed to create a holistic balance within the body and can take time to propagate through your system. Be patient stick with it...you’ll be glad you did! As with any product consult with a qualified healthcare professional before beginning use. Do not use if pregnant or nursing, under the age of 18 or if you have a known medical condition. Although Dong Quai is generally considered a safe nontoxic herb, certain individuals should not take with the following: women with heavy periods are cautioned to avoid it since it may increase bleeding. Those who take blood-thinning medications, women with breast cancer, women with endometriosis, uterine fibroids, or cancers of the breast, ovaries or uterus, men with prostate cancer. Discontinue use if any adverse reactions occur. Keep out of reach of children. Store in a cool, dry place. Do not use if safety seal is damaged or missing.